I love my Roland TD-4 electronic kit. It’s great for small gigs and for recording midi drum tracks. It made me interested in drumming and I learned a lot. However, it also made me interested in acoustic drums. I especially felt that playing exclusively on rubber cymbals was giving me bad habits. I decided that I wanted a small, portable kit that would be suitable for coffeehouse gigs, and after some research I ordered a GMS Subway SL kit from Indoor Storm. They warned me that it might take a while to ship, but I got tired of waiting after four months. In the mean time, some new possibilities opened up. Tama Silverstar Metro Jam kit in the music room. The kit shipped in two boxes. 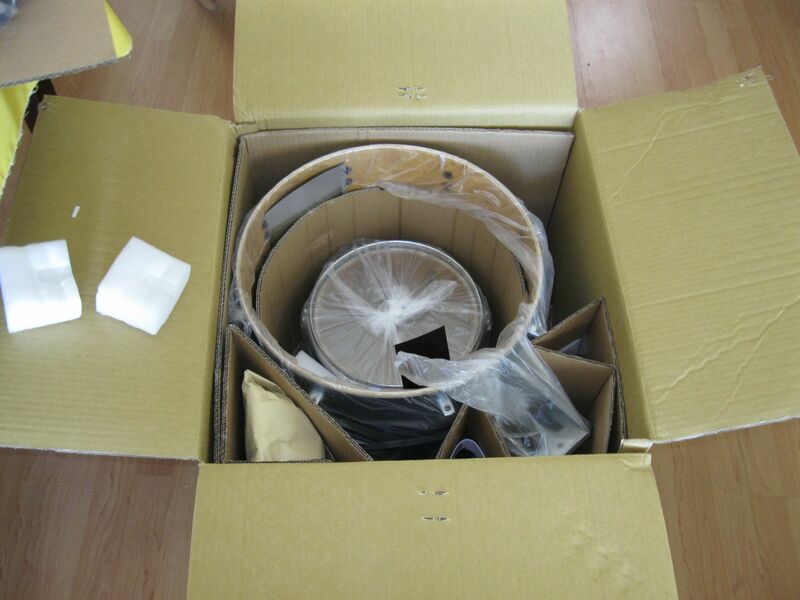 The smaller box contained the floor tom and the bigger box contained the rest of the kit, with the snare and small tom packed inside the bass drum shell. The floor tom out of the box. Everything was well packed. I had to install the bass drum heads and tune them up. There are lots of videos on YouTube about drum tuning, but they tend to contradict one another. For example, one says to tune the resonant (bottom) heads on the toms higher than the batter heads, another says to make them the same pitch. One says never tap the head with the drum key because you might damage the bearing edges, but another shows a guy tapping with the key. The toms on my set were tuned with the resonant heads higher. Tuning drums requires a good ear and patience. It can be frustrating. I am getting better at it. I may change the heads soon. The stock heads on any set of drums are cheap because most serious players will put their favorite heads on. Right now I am getting used to playing the kit. Acoustic drums are LOUD, especially when you are used to hitting rubber things. I really need to work on dynamics and control. I am having fun though. Update 2/23/13: I have changed all the heads. I have a coated Remo Powerstroke 3 on the batter side of the bass drum, and a coated Ambassador on the reso, with a three inch felt strip to muffle it. It makes a nice warm thump! I put Evans G2 clears on the batter side of the toms, with G1 resos, but I changed the G2s to G1s because it was hard for me to get the 2-ply heads in tune with the 1-ply heads on the bottom. I like the G1s better anyway. I put a coated Remo Ambassador X on the batter side of the snare, and an Ambassador snare-side on the reso. To tell the truth, I got the slightly thicker Ambassador X by mistake. I wanted a regular Ambassador, but this head sounds good on the drum. I am very happy with these drums! They were a good price, they are well made, and they sound great! 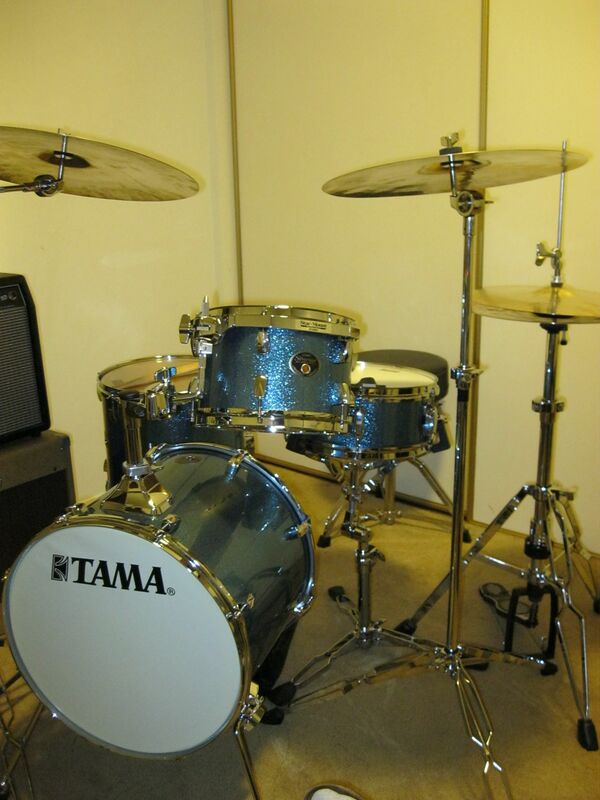 This entry was posted in Music and Guitar and tagged bop kit, jungle kit, Tama. Bookmark the permalink. 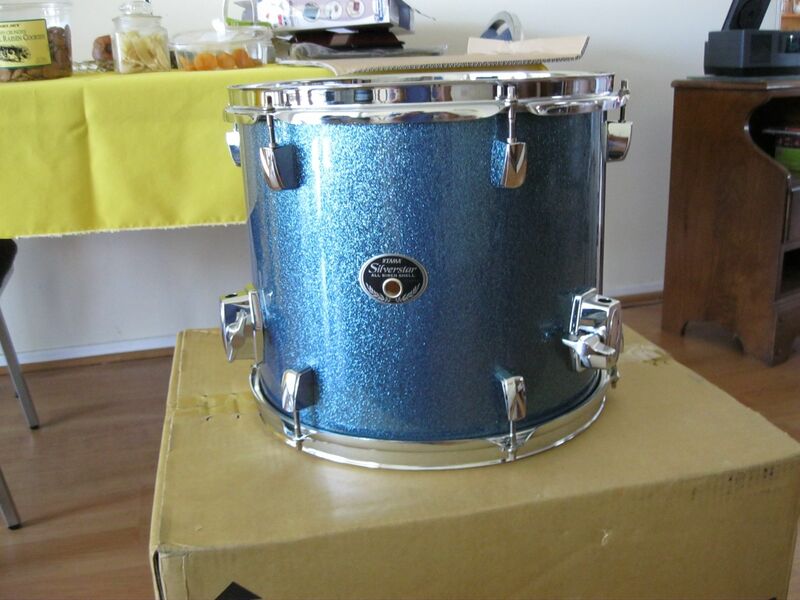 I found your blog while researching information on the Tama Silverstar Metro drum kit. Thank you for sharing your thoughts on this kit. I was astonished to learn that we’ve had identical journeys in our drumming. I, too, have a Roland TD-4 electronic drum kit in my home. I’ve found it to be a great drumming solution for practice and for not driving my family (and neighbors!) crazy with my late night impulses to practice. I really enjoy the Roland kit, but I’ve concluded that drumming on an electronic kit is just not as satisfying as playing acoustic drums. Actually, I found that playing electronic drums gave me some bad habits -namely, not hitting my acoustic drums hard enough when I’m playing with my band. I grew accustomed to playing with a softer touch because of the triggers on the Roland. I don’t have to hit the pads hard to produce a full sound. Like you, I think the cymbals on the Roland kit leave a lot to be desired – especially the ride cymbal. 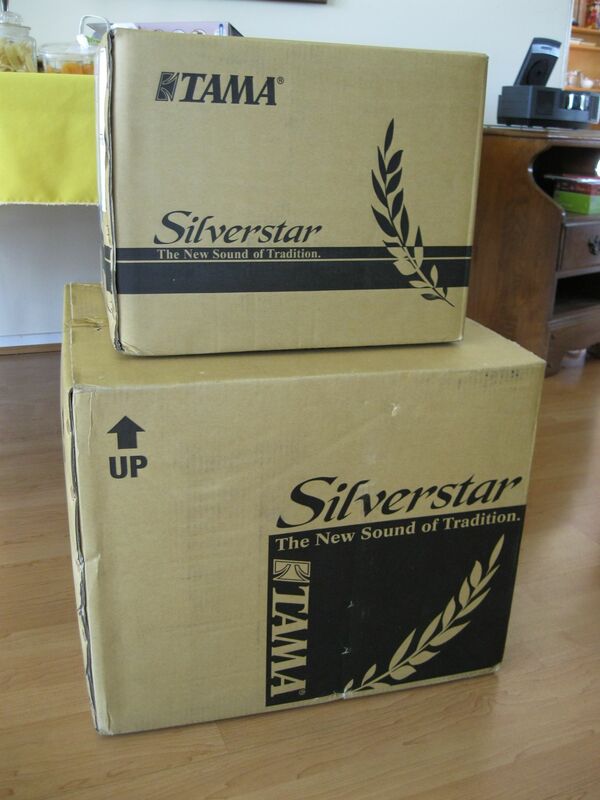 To make a long story short, I’ve decided to purchase the identical Tama Silverstar Metro kit that you have – same color and same store. I expect it to arrive in a few days. I may annoy my family and neighbors, but hopefully my drumming won’t suffer for it! Thanks for your fantastic blog. It’s immensely enjoyable to read! It is interesting that we have gone down the same drum equipment path. It must be a logical one! The next journey is cymbals. I learned a lot from playing the Wuhans, but eventually I ended up replacing them. They all have a wash that is sort of like a piano falling down stairs, lots of complex but dissonant overtones. I think they are interesting for some things, but not very versatile. I replaced the hats with some 13″ Zildian New Beats that I got from Guitar Center’s used gear site. Then I found a great deal on Amazon for a 21″ Sabian HH Raw Bell Dry Ride, a very popular cymbal that I had heard a lot of good things about. It is very sweet, with little dissonance, nice stick sound, and a very musical but cutting bell. It is good at low volume too. I love it. Amazon sometimes has amazing deals on particular cymbals that last only a couple days, so when I found a really good price on a Sabian 19″ HHX X-Plosion crash, about half off the street price everywhere else, I jumped on it. That turned out to be an interesting cymbal, but maybe not exactly what I needed. I really wanted a 14″ or 15″, but only the 19″ had a good price. It turned out to be dark and shimmery, but you need to lay into it for it to open up. When you do that it has a beautiful voice, but it is loud. Most of my gigs are very low volume, so that might not work. However, it is also possible that I may be able to develop techniques that will make this work. The cymbal clashes a bit with the RBDR, but that also makes for a nice contrast. When I switched to the Tamas my dynamic control was way off, but I think having a soft touch can be an advantage. When I rehearsed with my old friend Craig Saxon, he was surprised at how softly I could play and still get tone out of the drums. He was used to drummers that just bang away. So you may find that your bad habits can be turned into an advantage. I am glad you enjoyed the blog! Thanks for your reply. On the cymbal front, I’m a devoted Sabian guy – only because I started out drumming with them. I have AA regular hi-hats and AAX Stage hit-hats. On the crash front, I play AAX X-plosion crashes (18″ and 19″) and a nice HH 16″ thin crash. I have two ride cymbals in my bag – a 21″ AAX Raw Bell Dry Ride and a 20″ HHX Stage Ride. I also have a nice 12″ HHX Evolution splash cymbal (which actually may be one of the nicest sounding cymbals in my arsenal!) Like you, I’m always trolling eBay, CraigsList and Amazon – trying to find good deals! I often play outdoors, so I use drum mics. I found an insane closeout deal at Musicians Friend for a 7-piece EV drum mic kit. You made a very good point about playing with a light touch. I play in three different bands presently – our church worship band, a Jazz/Blues band and a rock band. A lot of the music I play requires a finesse and a lighter touch. On average, I play two gigs a week. I play a Tama Starclassic Performer Birch/Bubinga kit. It’s a beautiful sounding drum kit, but very heavy to cart around – especially with a full hardware bag! My Tama Silverstar Metro Jam kit is scheduled to arrive on Tuesday. I’m looking forward to using it for a couple upcoming Christmas gigs! You are gigging way more than I am. I don’t think I could keep up that schedule and still have a day job. I think that Sabian makes interesting stuff. They have a wide product line with both traditional and innovative offerings. I would bet that your AAX Raw Bell Dry Ride is not too different from my HH model, but yours is probably louder. Cymbal cognoscenti don’t seem to like any new Zildjians, but I like my New Beat hats. They sound like the hats on a million records. Of course, that can be a bad thing too. I find that when I pick up a guitar now, I have new things to play. Drumming makes you hear music in new ways. It is all very cool.